On August 30th / July 2nd 1989 Faith No More released their first single from The Real Thing and the first single with Mike Patton on vocals, From Out Of Nowhere. In 1989, the keyboard-driven From Out Of Nowhere dragged Faith No More just that and helped catapult the alt metallists to major stardom. Just before the 80s ended in an explosion of Aqua Net and spandex, alt metallists Faith No More found themselves at a crossroads. While the San Francisco-based band had already released the albums We Care A Lot (85) and Introduce Yourself (97), relations between singer ChuckMosley and the rest of the band - Roddy Bottum (keyboards), Jim Martin (guitar), Bill Gould (bass) and Mike Bordin (drums) - had soured, resulting in Mosley being ousted. "We were in a weird place at the time,"Bottum recalls, "having just lost a singer. I think I felt it more than the others. I was pretty close to Chuck. We were taking stock and starting over, but the mood among the four of us was pretty optimistic." The group soon had good reason to feel optimistic: the arrival of singer Mike Patton. 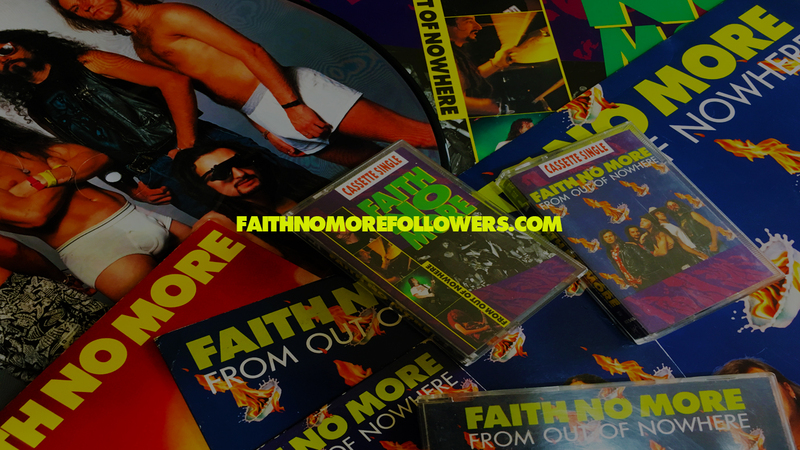 Shortly after the dawn of the 90s, Faith No More would be one of the world's top rock bands, with 1989's The Real Thing (their first album with Patton) and the single from it, the ground-breaking rap-metal track Epic, both scaling the charts. But initially it was album opener From Out of Nowhere that helped the band get back on track. Bottum recalls that the music for that song was written before Patton joined the band: "Billy, Mike Bordin and I wrote that song together at our rehearsal space in Hunter's Point. It was among the first batch of songs that we wrote after Chuck left the band. Typically, the three of us would get the skeleton of a song going on, and then get Jim Martin to put his guitar part on. Sometimes Billy would write [Martin's] guitar part for him, but I think in the case of From Out Of Nowhere he wrote his own part." But Bottum does admit that Patton lent a major hand in how the song eventually came out: "[Patton] came in and did the melody and the lyrics. All of the music of the songs on The Real Thing was written prior to Mike joining the band. He sat with the songs for a couple weeks and wrote all his vocal parts. Really fast." Gould : "We tracked a cassette demo [of .. .Nowhere] in the rehearsal room. Mike Patton took it home and worked on the melody and lyrics, then he would come to my house and we'd put the parts down on four-track to hone them down. The majority of the lyrics and singing melody was from him." There has been some debate over the years concerning exactly what the song is about. This is made evident by the fact that Bottum and Patton's explanations of the lyrics appear to differ wildly. While Bottum reckons the song "seems to be about a chance meeting, and how chance plays a role in interaction", Patton explains it as: "Jello shots, hermetic philosophy, Ptolemaic cosmology... you know, your average commie/junkie jibber-jabber." So that's cleared that up, then. in the 80s, keyboards in heavy metal were relegated almost exclusively to 'power ballads'. 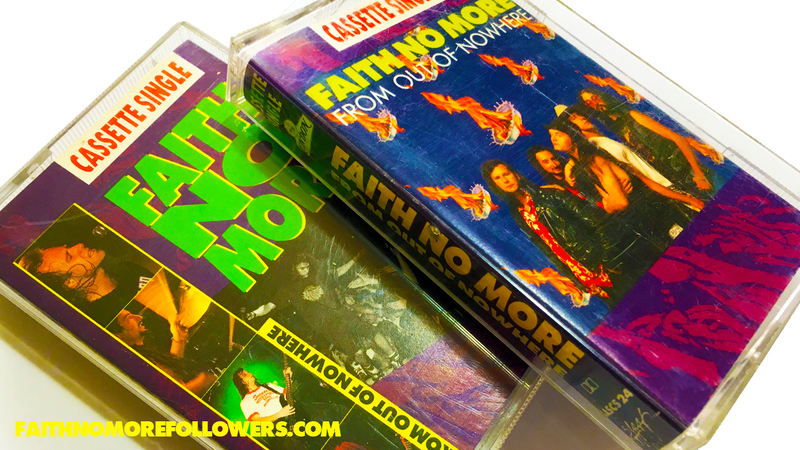 Faith No More were one of the first metal bands to use keyboards for texture which is demonstrated clearly on From Out Nowhere. When it came to actually record the song, the band were well-prepared. Looking back, however, Patton's memories are more than just a bit fuzzy: "Inhave no recollections whatsoever of recording the song," he says. "But I'm sure it was nothing short of a full-scale hootenanny." Bottum, on the other hand, recalls the sessions (at Sausaliio's Studio D) as being "a weird, 'getting to know each other' time with Mike Patton. We all got along and worked together pretty easily. Everyone was pretty proactive in the studio. Jim Martin was becoming very particular about his guitar sound, I remember that." Indeed Martin had become quite particular about his guitar sound. The guitarist recalls at the time consulting two renowned names in the rock world for advice - producer Rick Rubin and Metallica's James Hetfield. 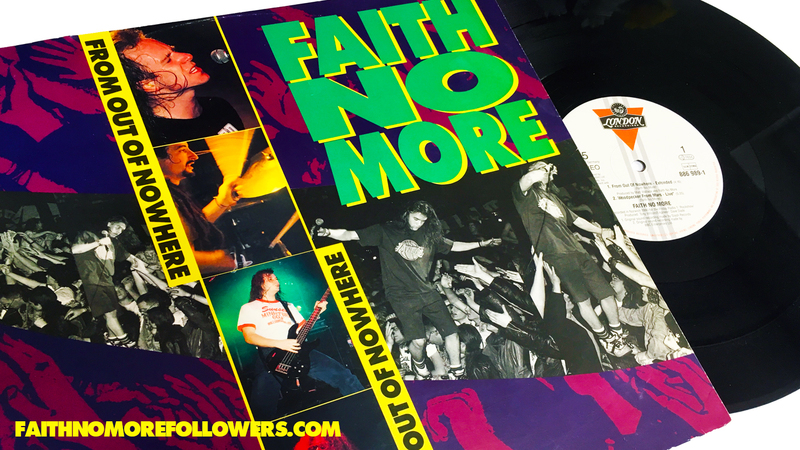 Due to the fast pace and intensity of From Out Of Nowhere, as well as opening the album it also served as the opening number for the mammoth tour in support of The Real Thing, which lasted from '89 through to'91. "That song was good because most of our stuff was so mid-Tempo that the set was always in danger of dragging," bassist Bill Gould explains. "With that one we could at least start things on a high note, and hopefully this spark would keep the rest of the set alive. There's nothing worse than being on stage for 80 or so minutes when things are not working correctly. Generally it seemed to work out well, and we stuck with it as an opener until we hated it so much we scrapped it from the set altogether." The bassist also recalls how the song put the audience over the top at one gig: "I remember playing in London for. like, the millionth time on that tour. We were pretty popular in England, but hadn't really taken off at all in the US, and all our American label people came to London to our show to see what all the hubbub was about. We opened with that song, and the crowd went bananas and broke through the barrier between the stage and the audience. We had to stop the song midway through because people were getting hurt. We left the stage, and came back after the barrier was rebuilt. The American label people were aghast."